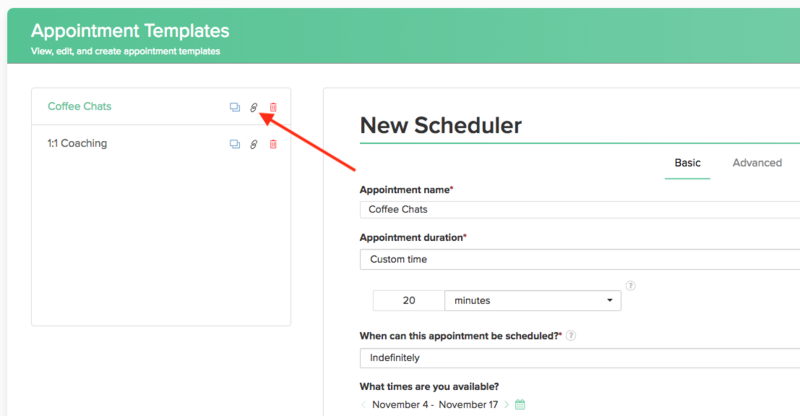 Schedulers can be embedded on your website so that clients can book appointments with you without ever leaving your webpage. In Dubsado, head to TEMPLATES >> SCHEDULER. 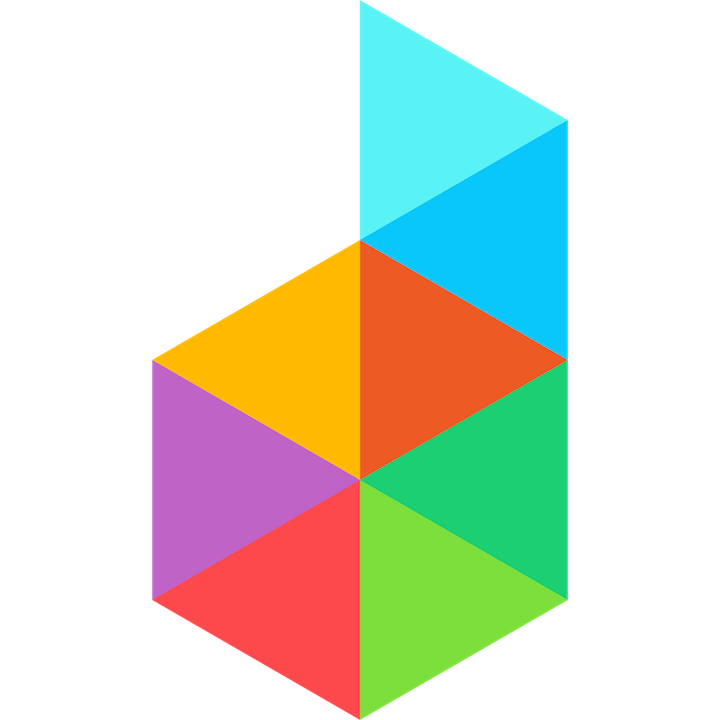 Once there, click the LINK icon on the scheduler you are looking to embed. 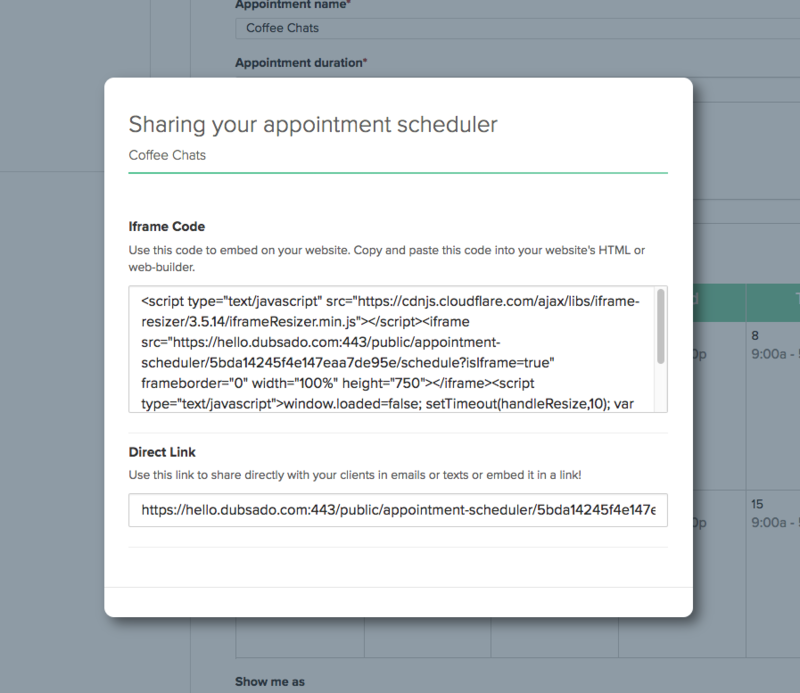 If you just wanted to send someone a link to your scheduler and not embed it, you can use the direct link.